U.S. Army Pfc. 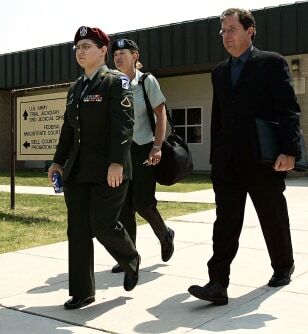 Lynndie England, front, walks out of the judicial complex with her defense team at Fort Hood, Texas, on Thursday. England's case is the last to be resolved in the Abu Ghraib prisoner abuse scandal.